The American Carpatho-Russian Orthodox Diocese (ACROD) is a diocese of the Ecumenical Patriarchate with about 75 parishes in the United States and Canada, led by Metropolitan Nicholas (Smisko) of Amissos. Though the diocese is directly responsible to the Ecumenical Patriarchate, it is under the spiritual supervision of the primate of the Greek Orthodox Archdiocese of America. 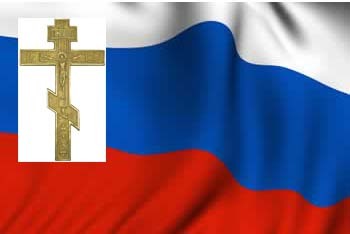 Its full name is the American Carpatho-Russian Orthodox Greek Catholic Diocese. At the end of the nineteenth century, many Ruthenians (Rusyns) immigrated to North America, and established their Greek Catholic Church parishes. However, the differences between the Eastern Rite Catholics and the predominant Latin-Rite Catholics (especially regarding a married priesthood and the form of the Divine Liturgy or "Mass") led some of them to withdraw from the Catholic Church and become Eastern Orthodox. Besides its 75 parishes, the ACROD has one seminary located in Johnstown, Pennsylvania, called Christ the Saviour Seminary. The bulk of the diocese's parishes are in the United States, with one in Toronto, Canada; nearly half are located in Pennsylvania. There was formerly a diocesan monastery, the Monastery of the Annunciation in Tuxedo Park, New York, which closed in the early 1990s. Another monastery at Beallsville, Maryland, called Monastery of the Holy Cross, dissolved in the late 1990s when the abbot returned to Eastern Rite Catholicism. The diocese is a member of Standing Conference of Orthodox Bishops in America.